Woman caught stealing Veterans service dog! Just when you thought people couldnt get any worse someone has to take that as a challenge. Recently a woman was caught on camera taking a dog belonging to a vietnam vet with PTSD. 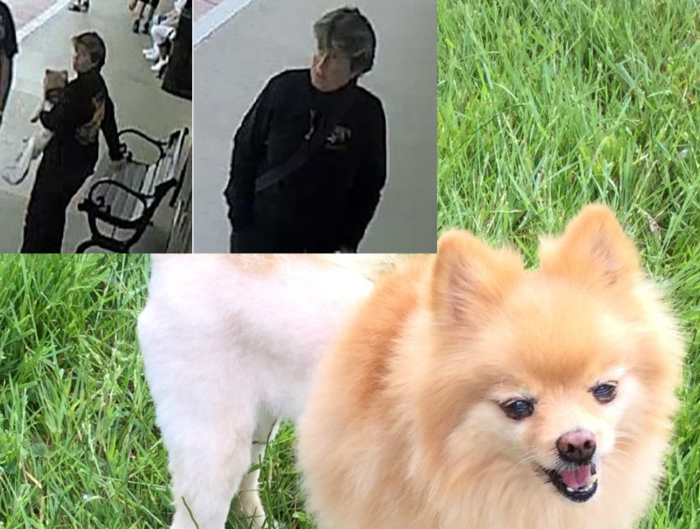 Fox10News reports that surveillance video captured a Florida woman stealing a service dog from a 67-year-old Vietnam veteran on Sunday, authorities said. 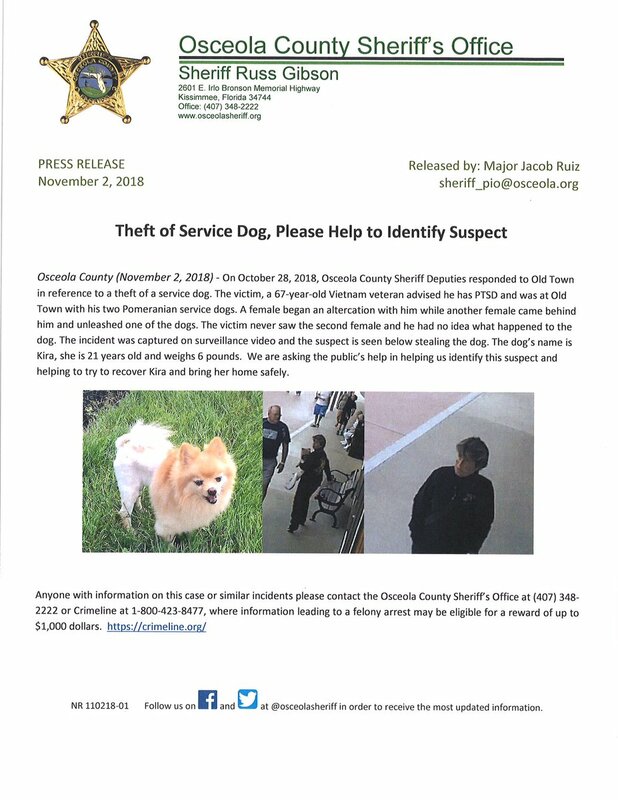 The Osceola County Sheriff’s Office posted photos of suspect, who can be seen walking away with the 6-pound Pomeranian named Kira. Deputies said the veteran was at an outdoor shopping mall with his two service dogs when a woman started an argument with him. During the altercation, another woman came up behind him and unleashed one of the animals. The man, who has Post-Traumatic Stress Disorder, said he never saw the second woman and didn’t know what happened to his dog. But surveillance video captured the incident, according to the sheriff’s office. Posted in Current Events, Veterans, WTF?!?! Combat Veteran Wins election after being mocked by SNL!